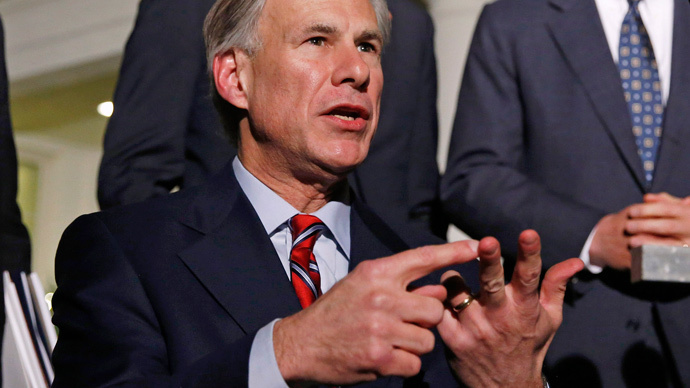 Texas Governor Greg Abbott told state troopers to monitor a US military training exercise, codenamed Jade Helm 15, after locals showed concern that the looming maneuvers actually look more like an "exercise in the imposition of martial law." The large-scale operation involves elite teams from four branches of the military, including the SEALs and Green Berets, and is set to kick off in seven states from July 15 to September 15. Up to 1,200 special operations personnel will be involved. The troops will be participating in what has been called Realistic Military Training in towns in Arizona, California, Colorado, New Mexico, Nevada, Texas and Utah. For the purposes of the training, Texas, Utah and part of southern California have been labeled as "hostile" territory, a description that a number of residents found troublesome. “Its sole purpose is to train US Special Operations Forces in their core skill sets for future use overseas. Inaccurate and untrue information is being circulated about training exercise Jade Helm either accidently or to promote personal agendas,” he said. According to military officials, armed forces will train in areas chosen because of similarities to overseas combat areas. Republican Governor Abbott says Texas has been assured that no residents or their property are at risk. According to officials, troops will be operating undercover among civilians, improving their skills to blend in with the crowd. Soldiers will also have to stage an escape from 'hostile' territory during the training. Jade Helm 15 looks more like an exercise in the imposition of martial law. Texas should withdraw "invitation". We NEED Texas Independence. Earlier this week, Lastoria answered questions from a crowd of 150 people at a special meeting of the Bastrop County Commissioners Court. According to a report in the Austin American-Statesman, Lastoria was asked whether Jade Helm 15 will involve bringing foreign fighters from the Islamic State to Texas, whether US troops will confiscate Texans’ guns and whether the Army intends to implement martial law through the exercise. The colonel repeated that Jade Helm 15 is nothing more than a routine exercise. “The terrain is very challenging and it’s going to make our soldiers sweat — and sweating in peacetime is what we want because it’s going to reduce the bleeding in wartime,” Lastoria said, according to the Austin American-Statesman. “I hope I’m a ‘conspiracy theorist’,” he added.